As one of the world’s largest and most successful betting and gaming companies, we aim to meet the highest standards in everything we do, from the way we run our business and manage our financial affairs, to how we support our people, our customers and the communities we work in. Some of those standards are legal requirements, but others simply depend on acting honestly, openly and with integrity. Ultimately, our success and our reputation depend on how we conduct ourselves both as individuals and as a business. We can only deliver short and long-term returns for our shareholders if our business is founded on principles of integrity and fair play. 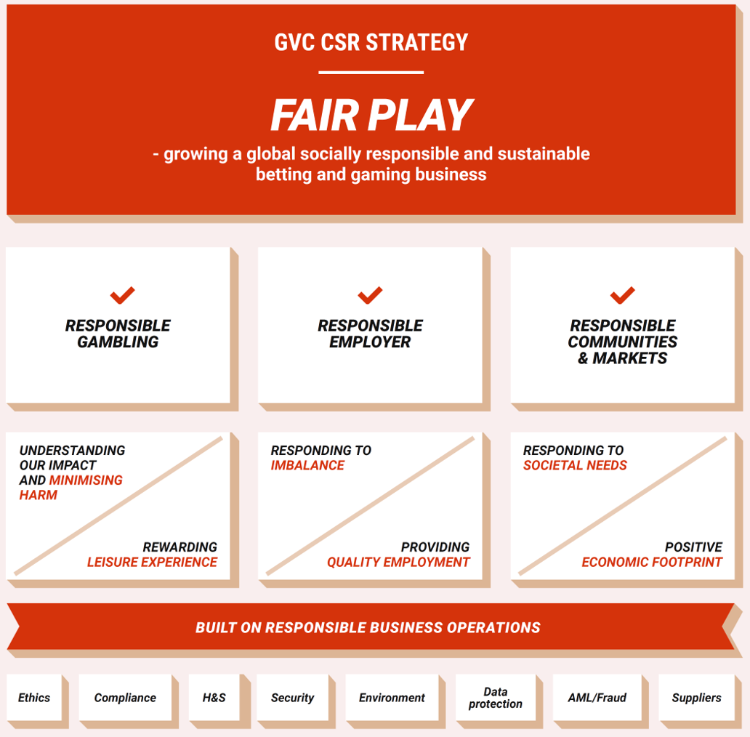 Accordingly, we have developed a Group-wide CSR strategy based on three important pillars for our business: providing Responsible Gambling opportunities, being a Responsible Employer, and enabling a positive impact on our communities and in the markets we serve – Responsible Communities & Markets. For more details see our latest CSR Report.